Omega-3s are fatty acids that are essential to optimal overall health and wellness. While they can be gotten from a steady diet of oily fish, not everyone has fish in their daily diets. Nordic Naturals offers Arctic Cod Liver Oil softgels that deliver a healthy dose of omega-3s to help boost your heart and brain health. 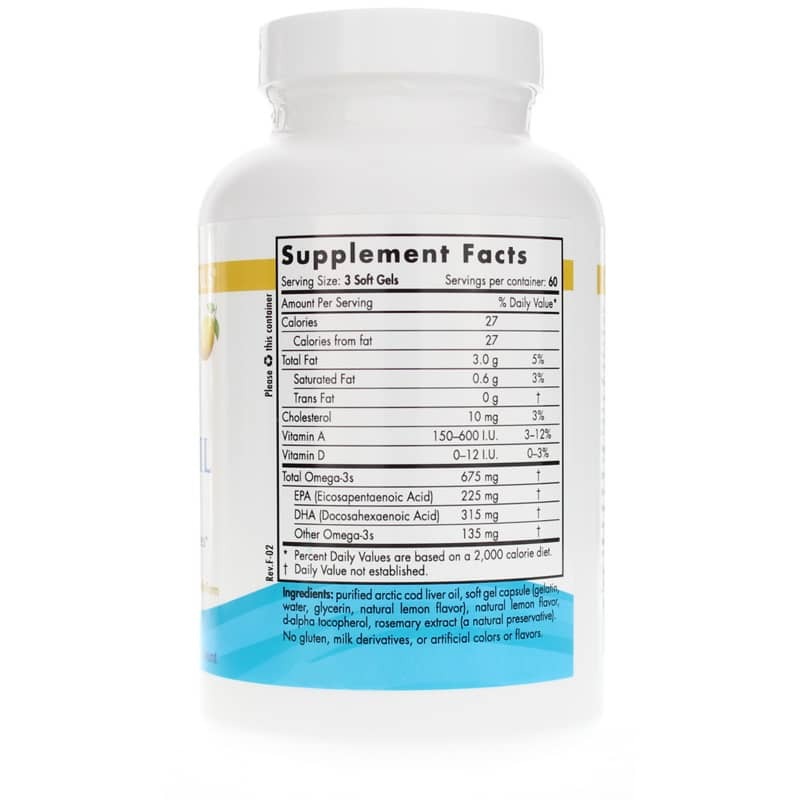 You'll get 225mg of EPA, 315mg of DHA, and 135mg of other omega-3s in just three easy-to-swallow, lemon-flavored softgels. Nordic Naturals Arctic Cod Liver Oil is always tested to be free from detectable levels of heavy metals, PCBs, and other contaminants. It also contains more DHA, vitamin A, and vitamin D than any other cod species. Make the choice to support your heart and brain health. 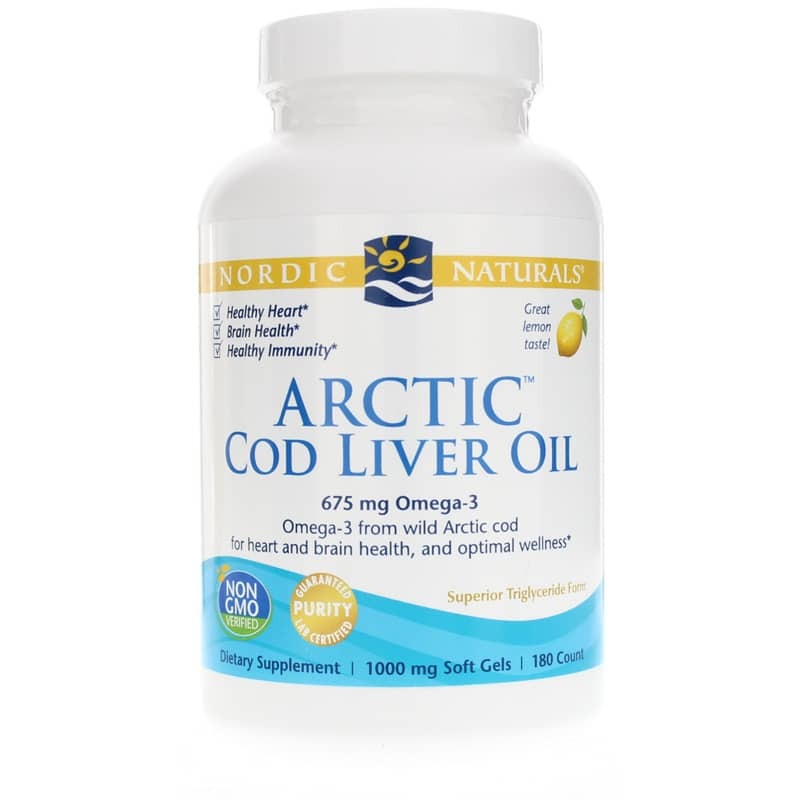 Start using Arctic Cod Liver Oil Softgels from Nordic Naturals today. 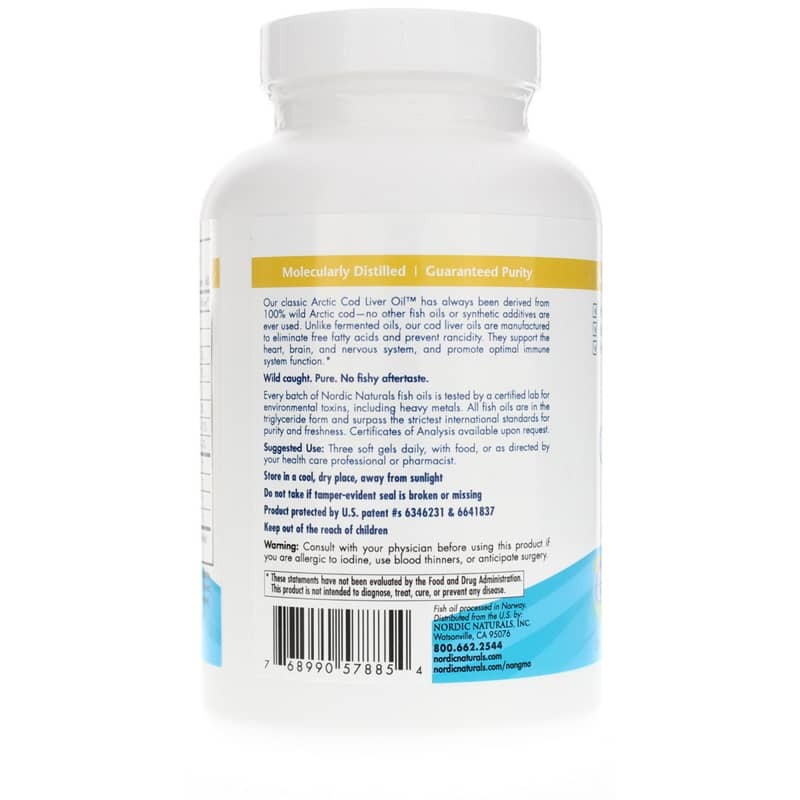 Orders yours now and see the difference they can make in your overall health. Ingredients: purified arctic cod liver oil, soft gel capsule (gelatin, glycerin, water, natural lemon flavor), natural lemon flavor, d-alpha tocopherol, rosemary extract ( a natural preservative). Adults: Take 3 soft gels daily, with food, or as directed by your healthcare professional or pharmacist. Consult our physician before using this product if you are allergic to iodine, using blood thinners, or anticipate surgery. If you are pregnant or nursing, please consult your healthcare professional before using this product. Keep out of the reach of children.